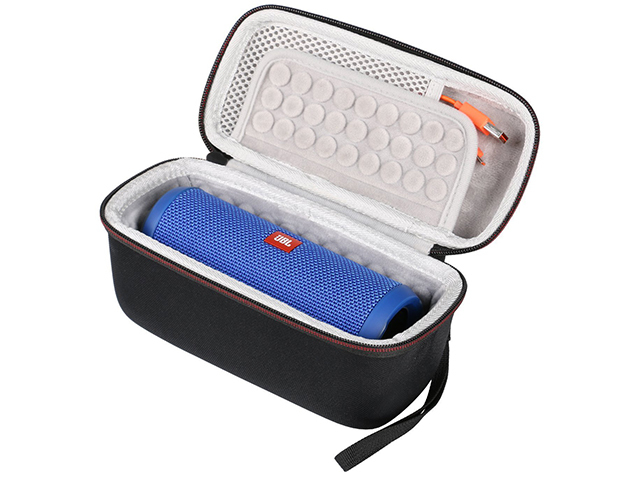 This JBL speaker case was designed with 1000 denier waterproof nylon fabric, with premier hard and thick EVA foam shell as the outer case. 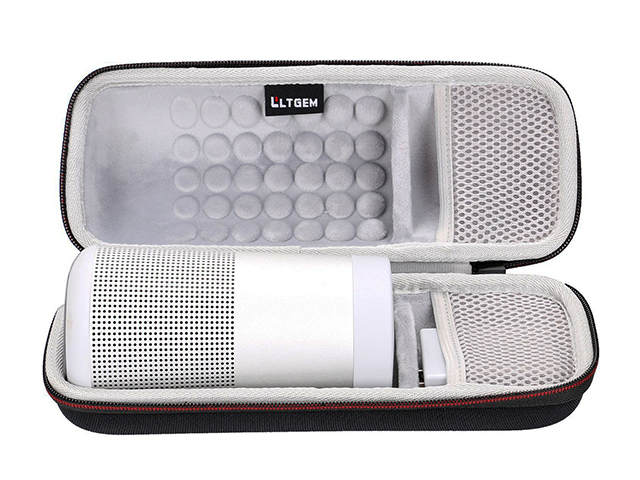 Perfect fitting JBL Flip 3 and 4 Bluetooth speakers. 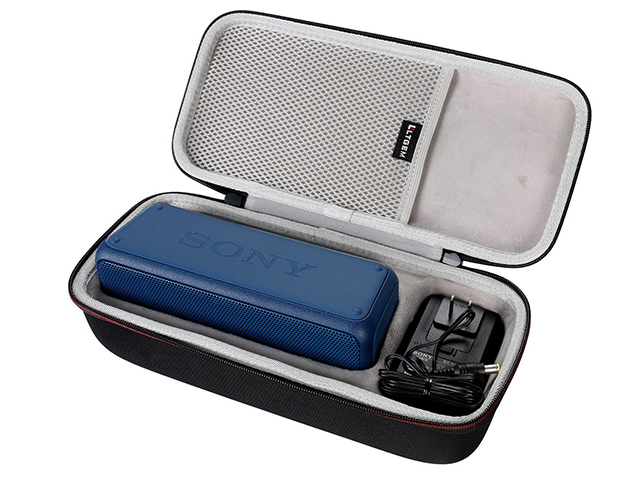 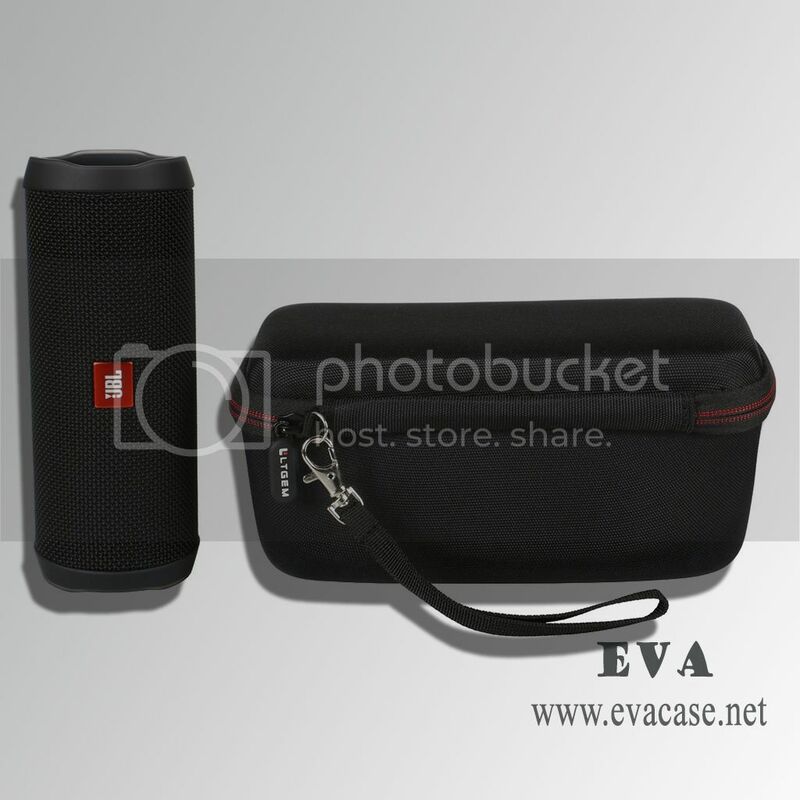 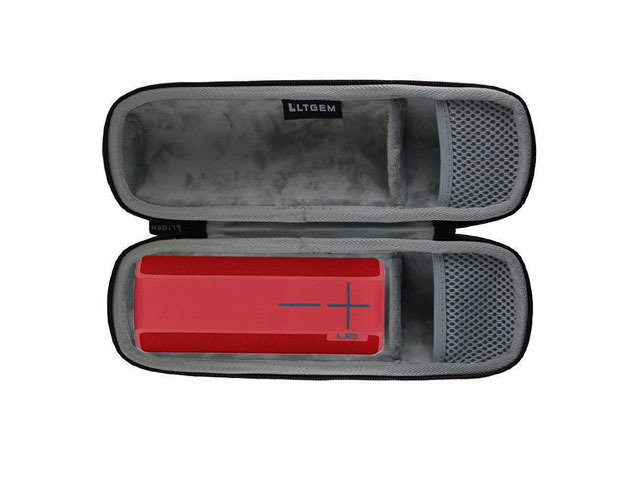 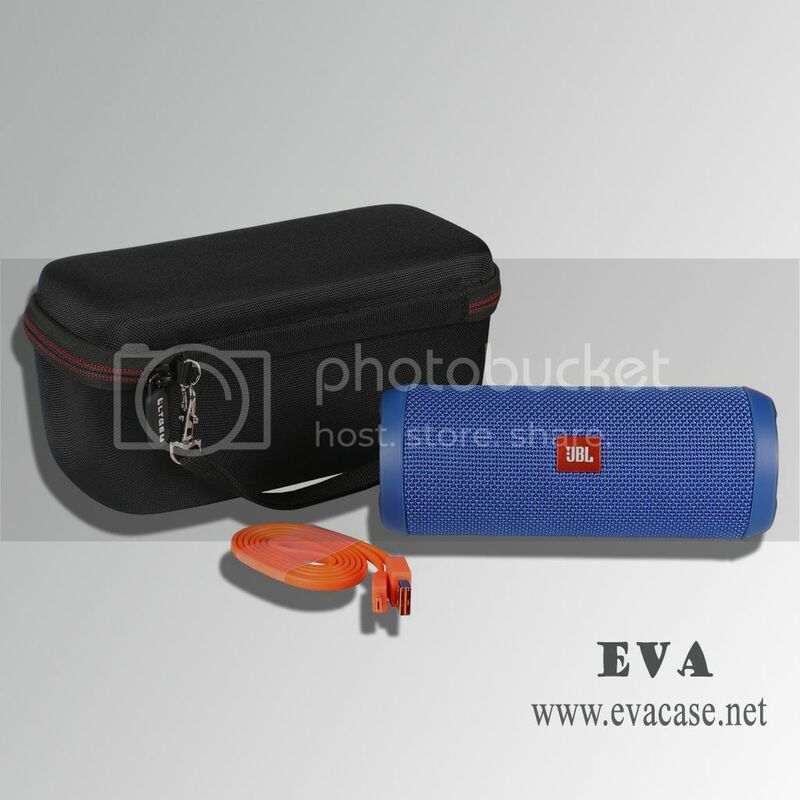 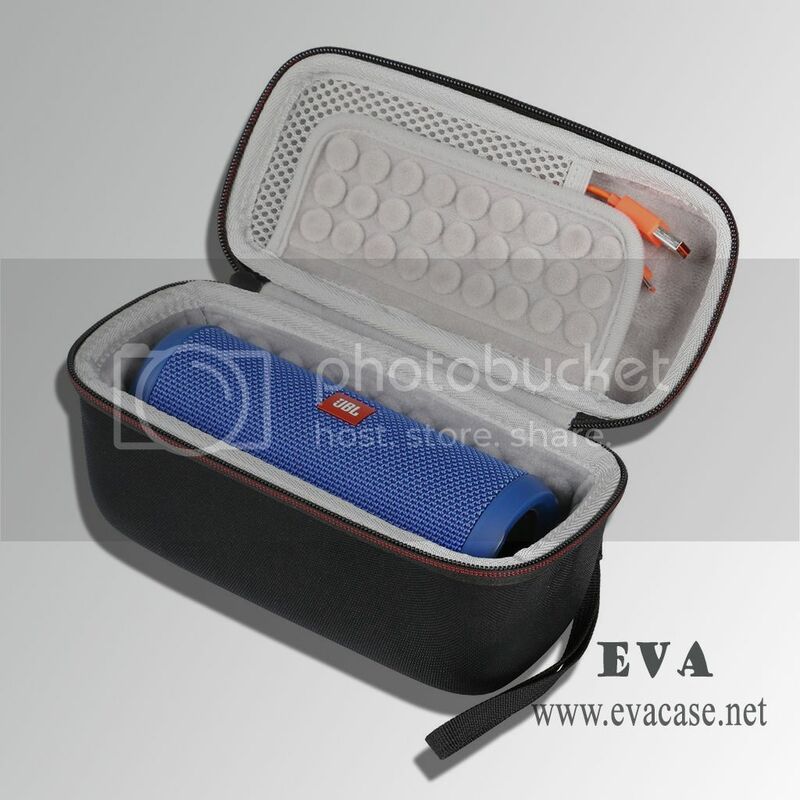 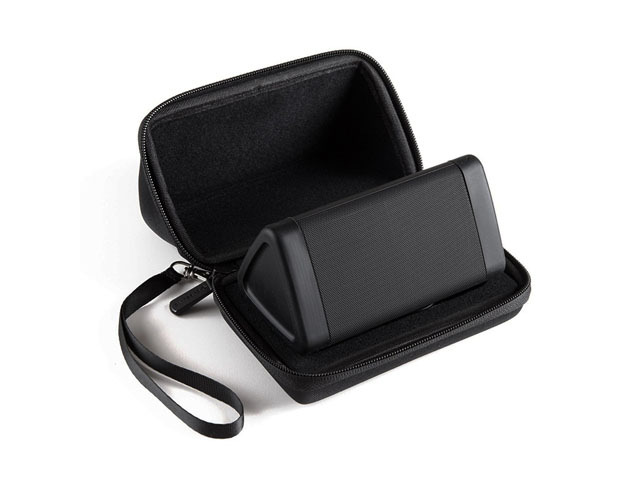 Dongguan EVA Case Manufacturer Custom Bluetooth Speaker Cases for JBL Flip 3 and 4, in rectangle shape with molded flap shockproof padded interior, mesh pocket inside.